With over 23 years of experience in real estate, I am uniquely positioned to meet the needs of clients interested in the second home market. Born in Northwest Indiana, raised in Chicago, and a graduate of Michigan State University with a degree in Political Science. I have been a resident of Michigan City, IN for nearly 21 years. 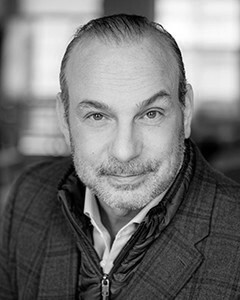 As a seasoned Broker and consistent top producer with @properties Long Beach, and also licensed in Indiana and Michigan, I am an invaluable asset to anyone interested in buying or selling a summer home in numerous markets. Adding value is important to me so in 2006 I became a Level III Assessor/Appraiser in Indiana, specializing in property tax appeals. I've presented nearly 4000 appeals to the benefit of many of my real estate clients. I'm also a land developer, and savvy real estate investor, owning over 45 residential units in Michigan City. My combined knowledge of the second home market, land development, and property taxes is unmatched and those skills help me provide an extraordinarily high level of customer service to my clients. I'd love for you to join me here along the southern shores of Lake Michigan - home to the Indiana Dunes, America's 61st national park.